Reduced hearing can have negative impacts. Most people wonder just how much hearing loss can affect day to day life. 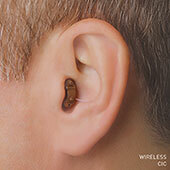 Even minor hearing loss can have negative complications if left unchecked for a prolonged time. The causes of hearing loss are varied and it is important to know the specific cause as it may be a sign of a more serious problem. Some hearing loss is a result of a noisy environment or age, but it can also be a symptom of a virus or infection. You should have your hearing checked occasionally for any signs of loss to identify the problem before it becomes more complicated. Treatment of hearing loss can prevent more extensive damage with time. 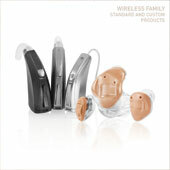 Know the causes, effects, and solutions for hearing loss. Don’t ignore symptoms of hearing loss. Contact Camas Hearing Clinic today!